We love Italy. We’ve rented villas in Cortona and on Lake Como. We’ve hiked and cycled in the Dolomites. We had a family reunion in Rome, centered around my niece’s baptism at the Vatican. We’ve taken a cruise from Sicily to La Spezia. And we’ve visited Naples twice for the sole purpose of buying umbrellas (a story I’ll tell someday). But Florence is the city we keep returning to. At Il Porcellino – the boar fountain. If you rub his snout, it means you’ll return to Florence. Not sure what rubbing his leg does? I studied in Florence for a year in college, and I’ve returned virtually every year since then – sometimes several times a year. When Conde Nast Traveler had its 2012 Dream Trip contest and required essays on where people would go if they won the $25,000 grand prize, I wrote that I would take my kids to Florence. Even though I traveled to Florence every year, I didn’t want the first trip with my kids to be about my favorite things or my memories. They needed their own kid-centered trip (not organized by me) in order to hopefully fall in love with the city too. It worked. We won the $25,0000, we had an amazing trip to Florence, and it became one of my kids’ favorite places. Since that trip, in 2013, we’ve returned with the kids five times. I’ve also traveled back solo six times, and did a trip with my old college roommate once as well. In short, we visit Florence often, and we’ve figured out how to do it right. When you’re walking through Florence, be sure to look down at the puddles! Is this post “definitive” or “ultimate”? Nope. I don’t think anyone but a local, or someone who’s lived somewhere 10+ years, has the right to use those terms. But it includes our favorite activities and where we stay. There are elements of those in my other posts, but this is my first attempt to tie together all of my Florence thoughts in one place. Enjoy! And if you don’t love Florence, that’s fine. I’ve had great conversations with people who feel like the city hasn’t changed and modernized enough, and conversations with others who feel like it’s changed too much. But whatever you do, please don’t judge the city based on a half-day excursion from a cruise ship. You’ll only be seeing the main sites (hey kids, the Duomo), and when they’re the most crowded, and at the hottest time of day, and it will be miserable. And you’ll probably get crappy gelato too. Nope. Give the city at least a couple of days. Wake up early. Stay out late. Get lost. Take a private tour. Find the best artisanal gelato. Then at least you’ll have the experience to be able to judge the city. I’ve stayed a lot of places in Florence, but there are three that we love. Palazzo Belfiore is a collection of apartments in the Oltarno section of the city. We’ve come to really like apartments compared to hotels. We have plenty of space, we can cook if we want to, we have a refrigerator for leftovers, and there’s a washer! Plus the price is far less than two hotel rooms. 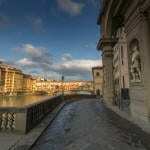 Palazzo Belfiore is perfectly-located, between the Ponte Vecchio and Santo Spirito, and there are restaurants and cafes within a few minutes’ walk. The only downside: depending on which apartment you get, you may be walking up and down a lot of stairs. Last summer we had the Caterina De’ Medici Apartment, which was perfect for the five of us, but it’s on the top floor and it’s a climb! Note: I apparently didn’t take any photos of Palazzo Belfiore either of our two stays last year. Will rectify that our next visit. Palazzo San Niccolo is the sister property to Palazzo Belfiore. We actually like it more than Belfiore – the apartments are equally perfect for us, but it also has a courtyard and pastries in the morning. The downside is the location – close to Piazzale Michelangelo and maybe 10 minutes farther from our favorite sites. We’ve found some restaurants that we love when we’ve stayed at San Niccolo, and I love being close to Piazzale Michelangelo for sunset, but in general we’d rather stay near the Ponte Vecchio – less overall walking for the kids. Antica Torre di via Tornabuoni is our favorite hotel in the city. 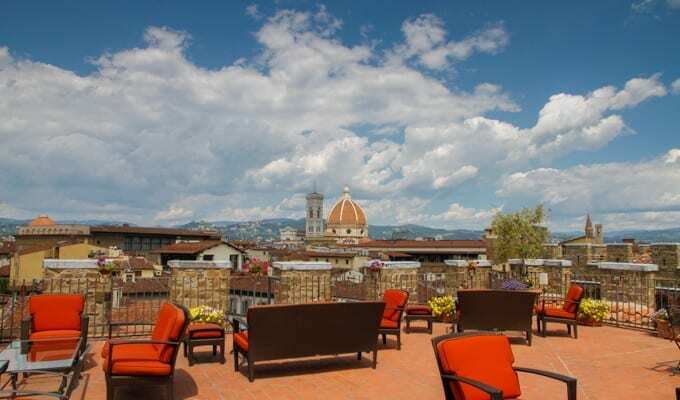 We love the location overlooking the Arno and the Duomo, the breakfasts, and the two-room suite setup (rooms 51 and 52). The downside? The price. Whereas the five of us can stay at Palazzo Belfiore during peak season for 250-300 Euros a night, Antica Torre is twice that. The above apartments and hotel are the best setups we’ve found for a family of five. 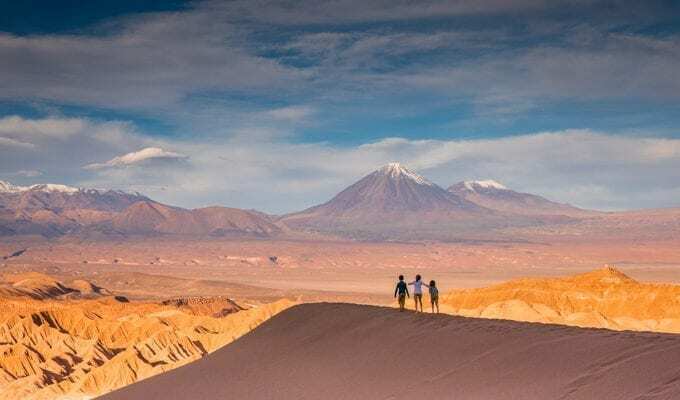 If you’re traveling with a smaller group, or solo, they all have smaller, less-expensive rooms available. But I’ve also been happy with Hotel Davanzati and Granduomo, both of them because of location, price and service. Granduomo has almost too good a location, literally next to the Duomo. I love it, but it can also get annoying during peak tourist times. 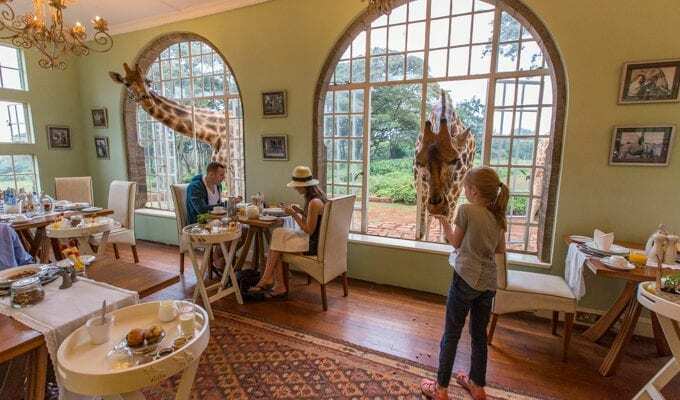 And Hotel Davanzati has a family suite that sleeps six. We haven’t tried it though. This is probably our favorite museum in Florence, but it requires a bus, taxi or 40-minute walk to get there, so it’s not as visited as the city’s central museums. The armor and sword collections are amazing, with some photo-ops for kids, and there’s even an outfit of Napoleon’s. Explore the grounds too. The museum’s website is here. The History of Science Museum, aka the Galileo Museum or the Museo Galileo, is our second-favorite museum. If your kids are into science, this is perfect for them – several hundred years of science, invention and discovery, all supported by the Medici, on display. I’ve climbed the Duomo and Campanile (bell tower) more times than I can count. 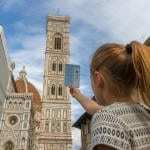 Both are included in the Grande Museo del Duomo Cumulative Ticket, so you may as well climb both – as long as your kids want to! Note that you need a specific reservation time to climb the Duomo – a great improvement over the lines that used to snake all around the cathedral. I always choose the first time of the day for the Duomo climb, since there are passages that are narrow and where you need to pass by other people. At least if you’re in the first group of the day (generally 8:30am), you’re not passing anyone as you’re climbing up. Also included in the Cumulative Ticket (above), this has quickly become one of our favorite museums. A lot of the original, priceless art from the public spaces around the Duomo is now housed here, in addition to early models of the dome. If you want to see Ghiberti’s Gates of Paradise from the Baptistery, this is where you’ll find the originals – the doors currently on the Baptistery are replicas. We’ve tried a lot of gelato around Florence over the years, and early on learned the trick to avoiding bad gelato (don’t buy gelato that’s piled into tall mounds or is too colorful – real gelato is in flat tubs and is naturally colored). And our first family trip we made gelato at Carabè with our guide Elvira. But our best gelato experience was a tour with Curious Appetite. We went to several of the best gelaterias around town and ended with fun gelato making. One of our favorite food tours ever, and Il Procopio is now our favorite gelato in the city. For the record, stay away from any gelato that looks like this! We’ve done scavenger hunts both throughout the city and within museums like the Bargello. The travel cards from Tava Adventures are excellent – pick a card at random, learn about the site and then have the kids navigate to there. Or simply buy postcards in the city or in a museum gift shop and do the same. Orsanmichele was Florence’s main grain market before being converted to a church. It’s not a standard tour destination, but it’s well worth seeing. Go on Mondays only, when the museum on the upper floors is open, containing the trade statues that have been removed from public view. And from the top floor you can see the building’s amazing brick ceiling, and look out over Florence’s rooftops to the Duomo and Palazzo Vecchio. Everywhere I travel, I wake up early and head out before sunrise. Florence, though, is my favorite place in the world to go for an early walk. Between 10am and 3pm or so, the main part of Florence – more or less the area between the Duomo and the Ponte Vecchio and up to the Piazza della Signoria/Uffizi – is ridiculously crowded. There are a lot of day-trippers in there, more tour groups than you can count, and other tourists who just haven’t planned well. Don’t be one of them! There is no reason to go to the Duomo or the Loggia dei Lanzi (next to Palazzo Vecchio) during the day. Instead, head to the main sites at sunrise. You’ll have them to yourself and you’ll get a far better feel for the history than when there are other people around. Of course everything is closed, but that doesn’t matter – Florence is just as amazing on the outside than on the inside, if not more so. Florence is full of world-class museums. While the Accademia features Michelangelo’s David and is well worth visiting, you can see replicas of David in Piazza Seignoria and Piazzale Michelangelo, so to me the Accademia is a lower priority if you have limited time in Florence. 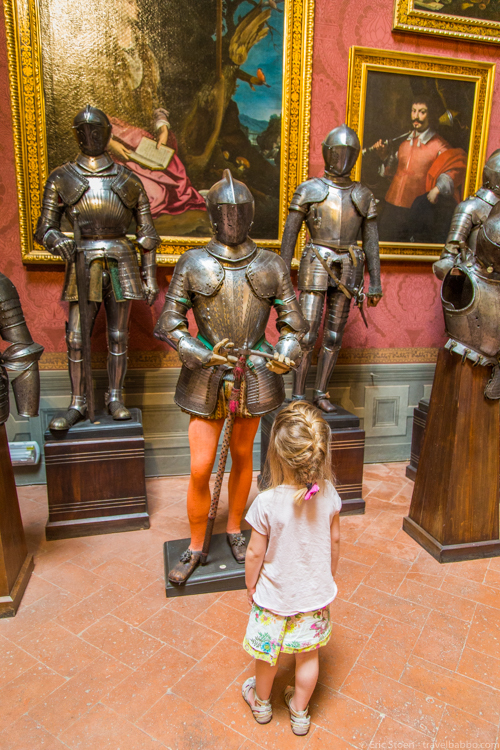 Instead I’d prioritize a visit to the Uffizi, but make sure you do it right: book a private kid-specific tour and skip the line. Context Travel is a good place to start. We’ve made pizza at Mamma Napoli, but our favorite cooking experiences were when we created full meals at Boscarecce (near Castelfiorentino) and with Let’s Cook with Jacopo and Anna. TripAdvisor can be a good place to find cooking classes as well. I mentioned sunset at Piazzale Michelangelo above. That’s the classic spot to position yourself for sunset, looking out over the Arno and the city’s main sites. A bonus: there’s often live music as well. But it’s crowded. Really crowded. For a better, more peaceful experience, walk five minutes past Piazzale Michelangelo to the church of San Miniato. Take a bottle of Chianti with you, and you’ll fit right in! If you bring up Florence on Google Maps and zoom out, there’s not much green space – really just Parco delle Cascine and Boboli Gardens. We prefer Boboli for the history (it’s the end of the Vasari Corridor), the views, and the trees/paths, and because it’s closer to where we stay. There’s an entry fee, but it’s well worth it. Skip the San Lorenzo and Mercato Nuovo (boar market) stalls. They all have the same generic t-shirts, calendars, and leather goods. Find the more interesting markets instead. We love Mercato Centrale and Sant’Ambrogio. Santo Spirito is also good, especially the 2nd Sunday of every month when the antiques market takes over the square. You’ll likely see the street art of Clet Abraham your first day. For the past decade Abraham has been transforming Florence’s traffic signs into works of art. He’s taken his work to other European cities, the US and Japan, but he lives in Florence, and every trip we see new designs simply by looking up. Make it a game to spot as many of his changed signs as possible around the city. And then visit his studio, very close to Palazzo San Niccolo at Via dell’Olmo, 8, to pick up a sign, postcard or sticker. Drawing in Clet Abraham’s workshop. But look for the other street art as well. Blub’s art shows typically shows Florence underwater, with figures from Renaissance paintings wearing snorkel masks. And Exit Enter paints thin black and red figures, usually with hearts or balloons. We love the Torrigiani Garden (Il Giardino Torrigiani), the largest private garden in any European city, but I’m listing it last as it’s not open to the public. 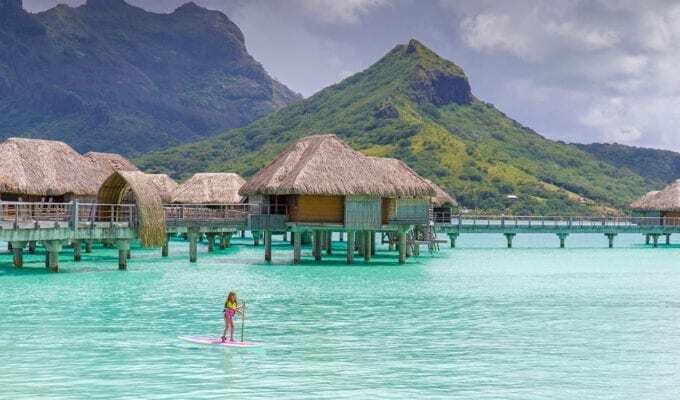 That’s not to say you can’t visit – you simply need to arrange for a private tour. Giovanni Torrigiani took us around for an afternoon, and we had the added benefit of a private performance by members of the Bandierai degli Uffizi, one of Florence’s most prestigious flag carrying/throwing groups. Maria at Concierge in Umbria arranged everything for us, but Context Travel and others can get you in for a garden tour as well. These are only our top 15 things. There’s so much more to do! My top piece of advice: get lost, at least once. Ok, twice – once on each side of the Arno. Walk down random streets and alleys to see where they go, and then pick a direction at random. See what you stumble upon. And take different streets back to your hotel every time. We always stop at photo booths when we’re walking around! If the church of Santa Croce is open, go inside and see how many names you recognize. Machiavelli, Michelangelo and Galileo are buried here. Many other notable figures from Florence’s past have monuments. If you’re traveling without kids, I loved riding bikes down from Fiesole, and driving a Vespa from winery to winery. Our kids had fun with the Context Travel fresco workshop. I mentioned the Bargello and Accademia above. Both are excellent if you have the time. The Museum of Natural History is interesting as well. And it’s easy to base in Florence and take a day trip. 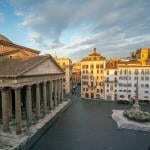 Don’t take a day trip to Rome or Venice – you need several days (and nights and mornings) to get a feel for the cities. But Siena, Pisa, San Gimignano and even Naples are options. We have a lot of restaurants in Florence that we love – enough that I did a separate blog post: Our Favorite Restaurants in Florence. Mornings in Florence are amazing! What did I miss? What are your favorite things to do in Florence with kids? Please comment below!